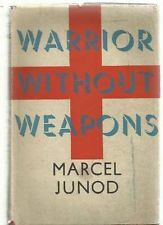 MdM’s Book of the Month series kicks off with Dr Marcel Junod’s ‘Warrior without Weapons‘ translated from the original French titled ‘Le Troisième Combattant’. Published in 1982, Junod’s publication certainly has more recent equivalents on the personal humanitarian narrative scene, but few offer such a compelling account. Relating his experiences between 1935-45 as an International Committee of the Red Cross delegate, the book takes us from his first missions in Abyssinia with mustard gas bomb air raids, to Spain in the throes of Civil War, Poland via Germany, ending up in Japan. There, he was amongst the first international medics to treat and be exposed to the clinical aftermath of the atomic bomb attack at Hiroshima. Difficult, challenging, moving, ‘Warrior without Weapons’ remains an essential read for understanding the struggles of humanitarian activists and professionals internationally.
. . . all these pictures are not merely out of the past. They are still with us all today and they will be with us still more tomorrow. Those wounded men and those pitiful captives are not things in a nightmare; they are near us now. Their fate is in our care. Let us place no reliance on the slender hope which lawyers have aroused by devising a form of words to place a check on violence. There will never be too many volunteers to answer so many cries of pain, to answer so many half-stifled appeals from the depths of prison and prison camp. Those who call for help are many. It is you they are calling. World Suicide Prevention Day: what is enough?